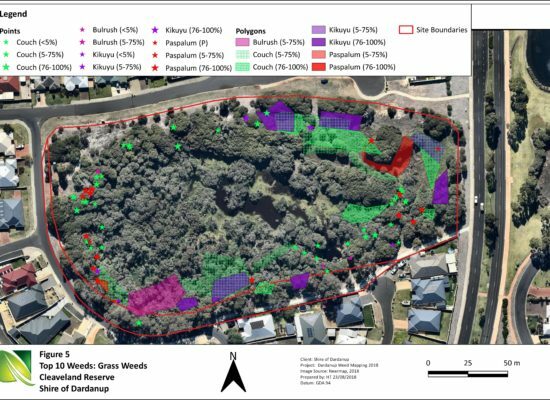 Natural Area can undertake weed mapping across any type of site including coastal dunes, bushland, wetlands, foreshore areas, heath and shrubland. 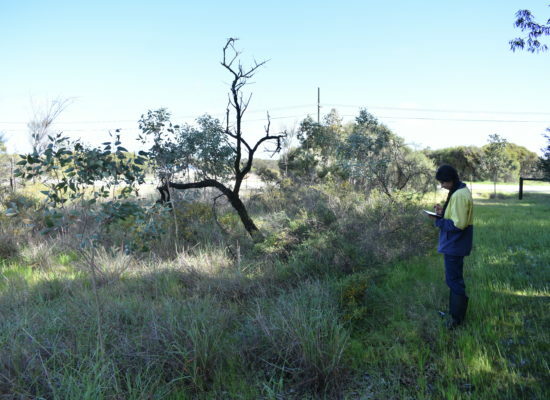 Our knowledge of weeds in WA is extensive due to our on-ground experience with natural area management works such as weed control and revegetation. Identification skills are complemented by GIS and mapping skills. 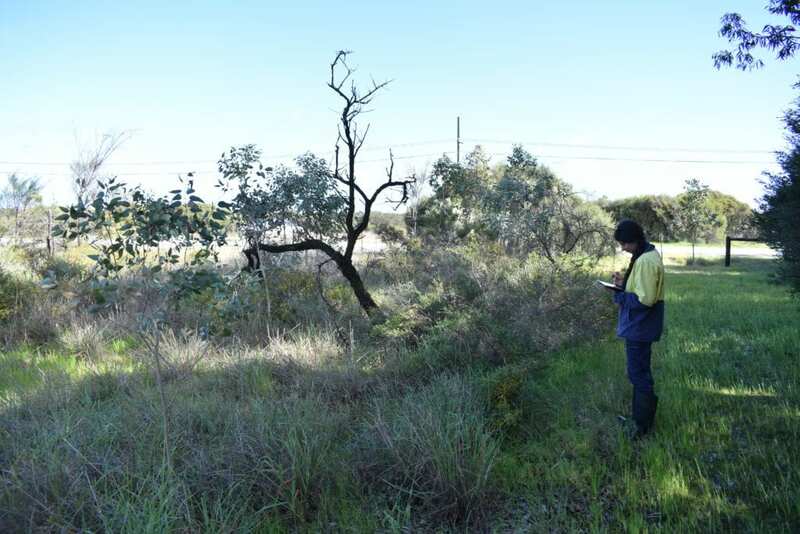 Survey sites are traversed on foot and the weed species present are recorded on a handheld GPS unit. GPS data is processed using GIS software. Points are used to denote individual plants or polygons are used to display densities of weed species within a particular area. Depending on the project requirements, either all weed species are recorded within an area, or only a selected list of species of concern are recorded. Data relating to weed species presence/absence is recorded on a handheld GPS unit including botanical name, common name. The cover or the extent and density is measured according to the scale described by DBCA in standard operating procedures. 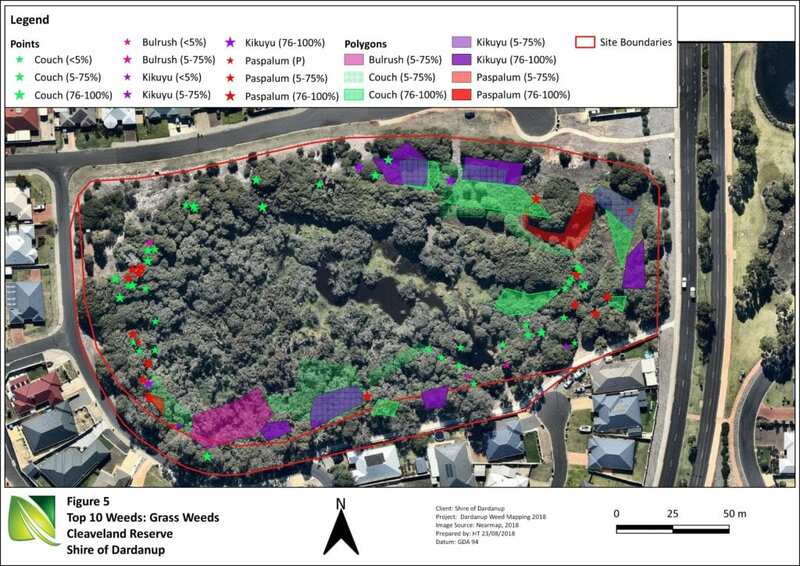 Weed mapping work can be undertaken as a standalone project or as part of a larger project such as in the preparation of an environmental management plan.